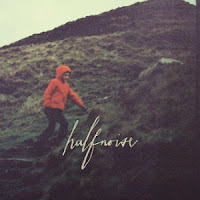 For all of the creative control Zac Farro has acquired with the creation of his personal project Halfnoise, listeners might expect a bit more creativity in its debut, self-titled EP. Subtly being promoted as the new musical outlet for the ex-Paramore member, Halfnoise unfortunately begs a comparison, so let's get this out of the way now for anyone curious: the two bands share very little in common. And any question as to whether the two bands would compare is immediately shattered with opening track 'Remember When', where Farro’s vocals are essentially a spitting auditory image of Chris Martin over the formulaic compositions of Paper Route. With the subtlety of a horn over a rolling snare, the song earns a triumphant tone. But as 'Sunsee' continues the EP the excitement is cut by Farro’s focus on minimalism. Its stripped down front-end musicianship, backed by hectic electronic rhythms and repetitive, obscure lyrics (“I can see sometimes”), is mesmerizing, the type of study music that plays more on your brain than your ears. The crunching effects on 'Hide Your Eyes' offers the first real interest of the album, adding an edge of anxiety that wavers in and out of the track. The overdubs of Farro’s vocals create a mini chorus as we’re brought into 'Free the House' - a track easily translated into a Passion Pit track off "Manners" with its detailed electronics and cut-and-paste vocals to add strictness to its tempo. On the best track of the album, a frantic synth spins up the scale over a high-pitched tinker bell and a quick shaker. This edge of percussion continues on 'Reproof' as triplets of a brushed beat pop and crack and add sharpness to the song otherwise washed out under Farro’s vocals. These are the types of details Halfnoise forces you to analyze on each track. The EP ends without any real climax or resolved tension, so listeners need to work to see the talent in details usually hidden within percussion and studio effects, and often lost under monotonous vocals. There is undeniably talent on Farro’s latest project. But unless you’re a fan of the genre, this self-titled might fail to impress as – unless you work to see the differences – every track is essentially built within the same mold. As the only member of Halfnoise, Farro gets to cherry-pick musicians to come and go throughout the EP, but the sound that Farro has created can actually benefit from a few more permanent members to sours in some new ideas. Otherwise, the one-minded band has come out to have just that: one mind, with very little to offer in variety and creativity.